The year started with the Leaf breaking the 100.000 units sold and to celebrate, the japanese hatch collected an easy #1, tripling sales of the #2, the Outlander PHEV. The fight for the last place in the podium was close, with just 61 units separating the #3 Tesla Model S (1.083 units)from the #5 Chevy Volt (1.022). In the middle of the two came the Prius Plug-In (1.062 units). Behind these, we see an encouraging BYD Qin, with 673 sales in its first complete sales month. Finally, the Smart Fortwo ED continued to climb in the ranking, now at #9, and the Volvo V60 Plug-In achieved a #10 position, proving to be a winning bet from the swedish automaker. After several record breaking months, no doubt fueled with dutch sales, the european market took a moment to breath and enjoy the moment, but somehow the Nissan Leaf kept on pressing sales, with 1.243 units sold, its second best score ever. The Volvo V60 Plug-In (439 units), was second and in third we have the Volkswagen e-Up!, a strong performer these days. On the other hand, Renault showed a poor performance, with the Zoe just in #7 and the brand dropping to #2 and 13% share, way behind Nissan (28% share). Another great month for EV sales in Belgium, with 112 units sold and a very expensive podium: The Porsche Panamera is #1 (!) with 29 units, followed by the Model S and V60 Plug-in tied in #2 with 21 units. Is it a coincidence that sensible Belgium prefers high-end plug-ins or is it a trend that will be transmitted to other countries? Only time will tell. With 818 plug-ins sold in January, the German EV market still hasn't grown the way it would be expected, just like a bicycle racer stuck in second gear. The BMW i3 (229 units sold) failed yet again to remove Smart from #1, with the third spot going for the VW e-Up!, thus removing foreign brands from the podium. As we can see, sales jumped fivefold from one year to the other to a total of 241 units and with Nissan and Renault joining the ranking this year, it seems that sales will continue to grow exponentially. 99 ev's were sold in Switzerland this January, it might not sound much, but it's twice as much as last year, so this is a market starting the year with the right foot. Looking at the models ranking, the Zoe keeps on getting good lovin' from the swiss market (30 units sold), leading head and shoulders above its posh, new competition (Tesla Model S and Bmw i3), #2 and #3 this month. McLaren registered one P1, justifying the country fame as 'Powerfulcars land'. In a time that fiscal changes and additional austerity measures are being enforced in France, it's no wonder that the french ev market is hurting, with just 775 units sold, the worst result in a year. Looking at the models ranking, the Renault Kangoo ZE topped the charts, but the real news is the #2 place of the Nissan Leaf with 121 units, the first time that the japanese hatch reaches silver. Will we see the Leaf reach #1? In third, with just 102 units (Worst result since last January), the Renault Zoe just doesn't seem to reverse the negative trend of the last months, selling less and less each month and taking the french ev market with it. Good result for the Bollore Bluecar, with 81 registrations and a meritable #4 place. Looking at the brands ranking, Renault is always on top, but share is down to 43%, when it was 69% in 2013. In second we have Nissan, with 16% share, followed by Bollore with 10%. Another great month for EV's in Norway, with 1.188 units sold and 9.8% share, after losing the ev leadership for two straight months to Tesla, Nissan took advantage of a poor month from the american car (Just #21 in the global chart, with 132 sales), to win again both the ev sales ranking AND the global ranking, with 650 registrations and 5,7% global share. 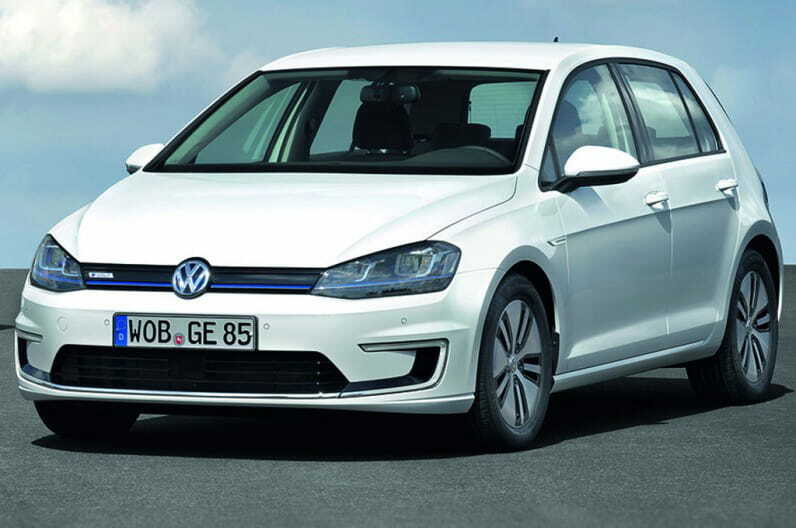 Good month also for the VW e-Up!, selling 175 units and removing Tesla from the Second spot. Further down the ranking, the BMW i3 reaches #4 with 82 units and the Peugeot Partner EV (31 sales) once again beats the Kangoo ZE in the electric LCV race, can this be a sign of things to come? "Volt on top of the charts, Tesla and Leaf fight for Second place, the rest of the pack far behind"
This year it also started following that script, with the Nissan car surpassing the Model S to win #2. While other markets are hibernating, the Danish ev market is keeping the upwards trend of the last months of 2013, selling 108 units, a new all time record. The Nissan Leaf surged to a new sales record, selling 63 evs, starting the year head and shoulders above the competition. The darling of plug-ins, the Tesla Model S, ended in #2 with 18 units, just ahead of the VW e-Up! (16 units). After the fiscal-incentives-derived-rush of the last months of 2013, the dutch ev market woke up to reality and sold a paltry 404 units, far, far, FAR away from the 9.000 units of the month before, but looking at real sales months, like a year ago, it's down just 35%, not bad considering many buyers antecipated sales due to the fiscal changes. The only model to perform decently is the V60 Plug-in (272 units sold), while last years phenomenon, the Outlander PHEV, eclipses to just 82 registrations. In a distant #3 we get a tie, with Prius Plug-in and BMW i3 selling 15 units each. Looking at PHEV vs BEV share, January increased share for the first kind, sitting at a gigantic 92% share, making the Netherlands more and more the capital of plug-in hybrids. 5.470 units were sold in January, half of the sales in December, but 19% above the same month last year. Looking at the models ranking, we see the Nissan Leaf comfortably in #1(A year ago it was just #4), with 1.252 units sold, above the Chevy Volt (918 units) and the Prius Plug-in (803). Further down the ranking, the Porsche Panamera Plug-in had a great month, selling 141 units, granting it a brilliant Seventh place, giving reason to those that say that manufacturers started the electrification on the wrong end of the market, with high-end plug-ins selling above expectations. On the other hand, the Mitsu I-Miev is waiting desperatly for the 2014 Model, having sold just 1 vehicle. Looking at the brands ranking, Nissan is also #1 with 23% share, followed by a strong Ford with 21% and in third we have Chevrolet with 18%. With 136 units sold, the Swedish EV Market sold less 34 than a year ago, that in a month where the overall market beated the January '13 numbers. Now that most of the dutch order backlog is satisfied, other markets are getting their hands on the Outlander PHEV, Mitsubishi Sweden got 35 units and reached the top spot in January. After the December #1, the japanese carmaker is off to a flying start in Sweden. In #2 we've got a bit of a surprise, with the VW e-Up! selling 23 units and beating the usual best-sellers. Volvo had a horrible month, ending #3 in the manufacturers ranking, behind Mitsu and VW, with the star model, the V60 Plug-In, selling just 8 units and even staying behind its older brother, the C30 Electric (10 units). A hiccup or something to worry about? 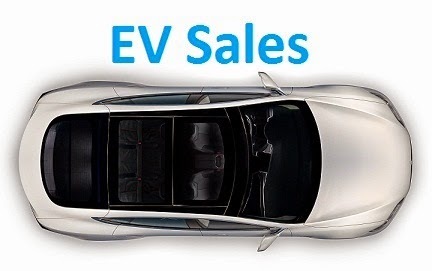 Some 5.000 QQ3 EVs were sold in 2013, earning it a #11 overall and slightly ahead of the all-time best seller (Mitsu I-Miev). Last year winner, the Renault Twizy ended just in #4 (#14 overall), some 2.000 units behind. The french hatch has got it covered (8.869 units sold, #6 overall) because it doesn't have any real competition, but the BMW i3 will be hard to beat in 2014. In the most representative segment of the EV market (The top three best-selling plug-ins are compact cars), the Nissan Leaf wins head and shoulders above the competition, beating last year winner, the Chevy Volt. The V60 Plug-in has beaten the Fusion Energi as the best-selling D-segment car in what has been an exciting race between the two. The only SUV in the Top 20, it ended in #5 overall with 18.000 units, despite production problems in the spring. Mitsubishi can't make enough of these cars while others (Volvo, Tesla, etc) are on their way to also have a piece of the (giant) pie. 600 units were enough for Mitsu to win this, as this was an empty bowl, to give an idea on how empty this segment is, the all-time best selling plug-in pick-up is still the jurassic Ford Ranger EV. The C-Max wins this easily, with only the BYD e6 making some kind of competition to it. Two dozens of units sold in the beginning of the year were enough for Tesla to win this, but in 2014 things will be more interesting, with Porsche, McLaren and above all, BMW, as candidates for this title.